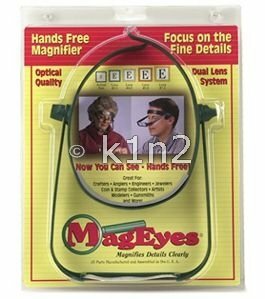 Lightweight, hands free magnifier with double interchangeable lenses and cushioned headband. One size fits all. Moves with line of focus for distortion-free viewing and a wide field of vision. Adjustable lens angle swings up and down, or can be locked in place.